A sunny day at the lake announces Summer in this banner. 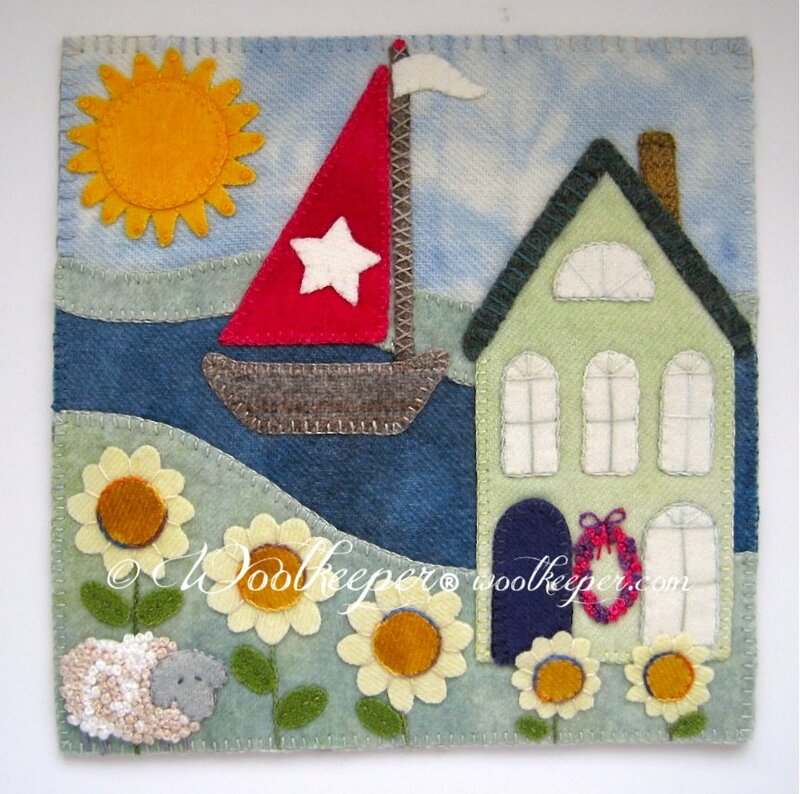 Many gorgeous hand dyed wools are used for the sky, lake, ground, sun, sail, daisies and house. Colonial knots make the sheep’s curly fleece.